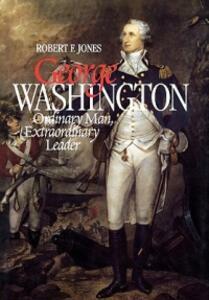 George Washington: Ordinary Man, Extraordinary Leader is a revised edition of the author's George Washington, published in 1979. Totally updated to include the author's extensive research conducted in the intervening two decades, the book is a concise but complete biography of Washington as gentleman planter, colonial rebel, American general, and U.S. president. The book provides a full and even-handed portrait of the first president, with special emphasis on how he took his rather commonplace talents and transformed them with self-discipline into extraordinary leadership in a time of turmoil. The book pays special attention to Washington's struggles during the Revolution and his tenure as president and deals with his gradual conversion from advocate of nonpartisan politics to a strict Federalist. This book synthesizes the current research in a readable style that affords the general reader an understanding of Washington's special character and his vital role in the making of the United States.